The Most And Least Obese States Of 2013 — Does Yours Need to Hit the Gym? The results are in, and it appears that America just can't shake that obesity problem — but some states are trying. In a newly released poll, Gallup-Healthways tell us the most and least obese states based on the percentage of their population that qualifies as obese. Ranking as most obese state is Mississippi, with 35.4 percent of their residents obese, and Montana on the opposite end of the spectrum with just 19.4 percent of their population obese. Mississippi officially belly-bumped West Virginia out of its top spot as most obese state, as West Virginia held the spot from 2010 to 2012. They now sit in second with a 34.4 percent obesity rate. Gallup reported that, sadly, the overall obesity rate of the U.S. has indeed increased since their last report in 2012. The national obesity rate , as computed by respondents' self-reported height and weight in the Gallup-Healthways Well-Being Index, has increased to 27.1% from 26.2% in 2012, and is up 1.6 percentage points from 25.5% in 2008, Gallup's initial year of tracking. 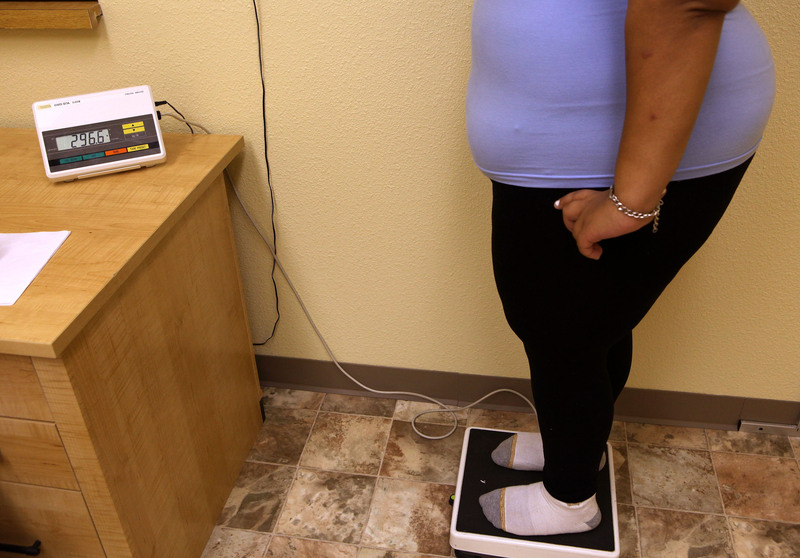 Americans who have a BMI of 30 or higher are classified as obese. Shoutout to my home state New York for making the top 10 list of least obese states with a lowly 24 percent. Excuse me while I go H.A.M. on a Five Guys bacon cheeseburger and cajun fries in celebration. Visit the Gallup-Healthways website to see a complete list of states and their corresponding obesity percentages. Stay healthy, my friends!